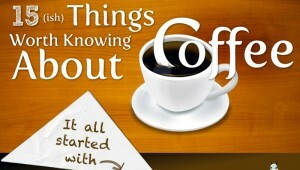 I found this delightful poster on The Oatmeal, which illustrates the 15 things worth knowing about coffee. This highly informative bean to cup journey begins with dancing goats and ends with a caffeine high. Brilliant. Check out the full poster! Oooh! 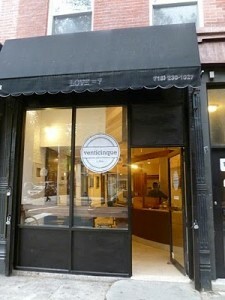 An Italian espresso bar using Counter Culture beans just opened up in Park Slope! Here’s Park Slope wrote a great review with pictures of the interior. Looks like this will be a good addition to the neighborhood. Double Rainbow Espresso – so good you’ll ask yourself, what does it all mean??!! 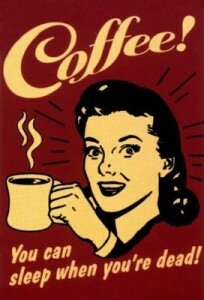 Hello, west coast coffee!! I brought home the Double Rainbow Seasonal Espresso blend from San Francisco. I must say it’s pretty FANTASTIC. If you want to get some for yourself here in New York, you can find it at Cafe Grumpy. Otherwise you can order directly from Ritual HERE. “Two coffees from Guatemala create the foundation of the blend, Juan Luis Barrios Ortega’s Retiro de Quisaya and Luis Pedro Zelaya’s Chuito. Retiro (Bourbon and Pache varieties, grown at 1600-1800 meters in the San Martin region) possess a beautifully balanced sweetness and brightness, while Chuito (Bourbon and Caturra varieties, grown at 1600 meters in Antigua) adds a full, lush body. The third and fourth coffees serve to accentuate the best qualities of Retiro and Chuito. Los Crestones from Costa Rica (grown by La Piedra de Rivas in the Chirripó region at 1600-1800 meters) adds to the silky mouthfeel and sweetness found in the Chuito, but also complements with soft fruits notes of melon and citrus. Lastly, the Rungeto Farmers Cooperative Society’s Karimikui from Kenya (SL 28 and 34 varieties, 1650 meters and above) brings layered fruit and complexity. Coffee and ice cream lovers rejoice!! I made a batch of vanilla ice cream recently and couldn’t help but pair it with my other favorite vice: espresso. Affogato is one of my favorite desserts of all time. It’s so simple and delicious. It takes less than 10 minutes to prepare. 1. Brew a shot of espresso however you like to do it. I like to use my Bialetti stove top espresso maker. If you have an espresso machine, even better. Amaretto is an Italian almond flavored liqueur. 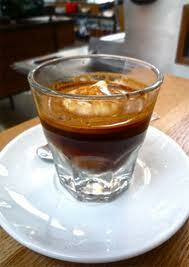 I prefer my affogato on the simple side, but if you want to add another dimension this is a tasty option.